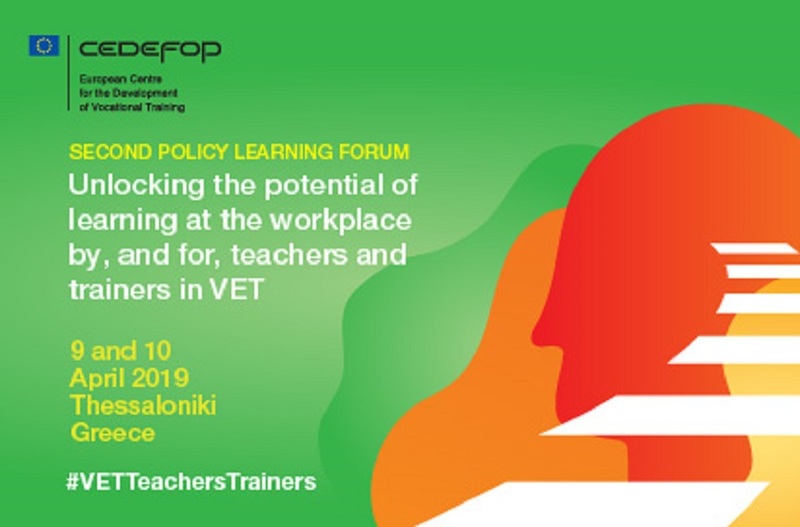 Cedefop is organising the second policy learning forum (PLF), 'Unlocking the potential of learning at the workplace by, and for, teachers and trainers in VET'. Teachers and trainers in vocational education and training (VET) work in the context of innovation, globalisation, rapid technological and societal changes that set challenges to education and training systems across Europe and globally. The Riga conclusions (2015) called for systematic approaches to and opportunities for initial and continuing professional development of VET teachers and trainers, the European Framework for Quality and effective apprenticeships (2018) and the Teachers and Trainers Matter: How to support them in high-performance apprenticeships and work-based learning. 12 Policy pointers (2018) took forward the importance of teachers and trainers’ competences to ensure quality learning experiences. The second PLF will take the outcomes of the discussions further and invites the participants to discuss the ways how to build stronger bridges between the school and the workplace so that teachers and trainers benefit in their professional development and better support learners in innovative and effective ways. use of research to support teachers, trainers and policy-makers. explore possible directions for and express interest in further policy learning and policy implementation. The policy learning forum will bring together the participants from national, regional and local authorities, social partners, teacher professional associations, and other stakeholders.